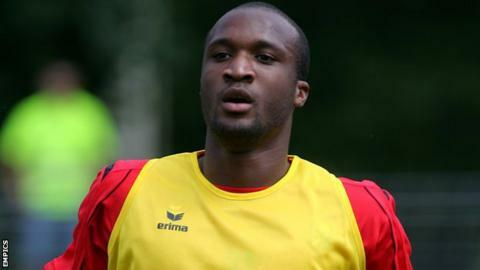 Coventry City have completed the signing of French centre-back William Edjenguele on a three-year contract. The 25-year-old has been on trial at the League One club after his contract expired at Greek side Panetolikos. Manager Andy Thorn told the club website: "William is a strong, physical presence and we're delighted to have him on board. "We've had him in for a while now. He's been training with us, he did well at Hinckley and has generally impressed." Edjenguele is the second Frenchman to join the Sky Blues this summer, following the arrival of fellow defender Kevin Malaga last week. Thorn added: "We were aware of what he had to offer and, similar to Kevin, it was important we tied him down and we've done that which I'm very pleased about."